It’s troublesome to consider the target audience when evaluating a film — particularly when the filmmaker is as enigmatic and anti-populist as Spike Lee. But the first question on my mind with regards to Oldboy, his remake of the 2003 Chan-wook Park drama, is: Who is this for? It’s certainly not for general audiences. Anyone even passingly familiar with the original knows that it’s dark, violent and universally disturbing; the unwitting moviegoer who buys a ticket for Oldboy is likely to emerge outraged. Fans of the original will simply be incensed that a remake has been produced, and devotees of particularly nasty cinema...well, they’ve all seen the original. Perhaps Lee is making Oldboy for the small sliver of serious film fans who are receptive to such pictures, but missed Park’s film. If that’s the case, then he should’ve done a better job. 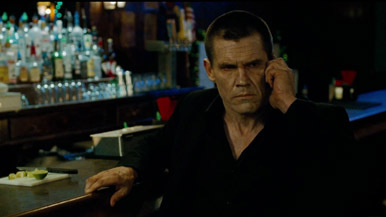 Joe Doucett (Josh Brolin) is a hopeless, self-destructive drunk with a three-year-old daughter and a tendency for sexual harassment. After a particularly sloppy bender, he’s seduced by a mysterious woman on the street; he wakes up in a Lynchian hotel room, unable to leave. You can’t go much further without revealing spoilers in this particularly twisty tale, but Doucett remains in that room for a very long time.